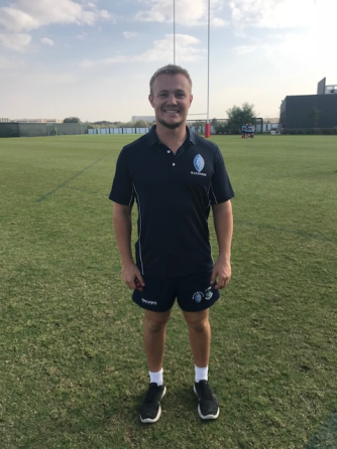 Warriors are delighted to announce the appointment of Mr. George Cliffe, who will be acting as the Director of Rugby for the Warriors Rugby Club. He will hold this position, in addition to continuing his current role as a Senior Rugby Coach and Teacher of PE at DESC. George holds a Masters Degree of Science (MSc) in Sport and Exercise Psychology from Leeds Metropolitan University, a Post Graduate Certificate in Education (PGCE), in Education from the University of Sunderland, and a Bachelor of Science (BSc) (Hons), in Sports Coaching from Leeds Metropolitan University, and brings a wealth of coaching experience with him. Look out for George at training, introduce yourself and feel free to ask him any questions.